Presenting the GI Joe SLAM or Strategic Long-Range Artillery Machine. We first saw the SLAM in Marvel's G.I. Joe: A Real American Hero # 59 all the waaaaay back in 1987. 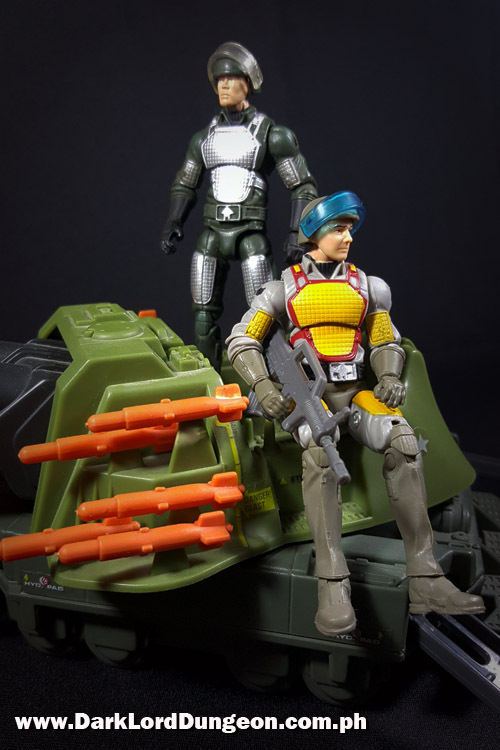 The SLAM was a prototype artillery weapon that was being transported by the GI Joes through the mountains of Colorado. Cobra Commander was able to trace where they were going thanks to the Accounting wizardry of the bird-man Raptor. Cobra Commander then moved to attack the convoy - which included a HAVOC - in one of COBRA's most controversial vehicles ever, the COBRA POGO. It was also known as the issue that highlighted a GI Joe favorite, their survival expert, Outback. We don't remember much about the issue anymore save that it ended up in a tunnel with the POGO coming, head-to-head, against the GI Joe APC towing the SLAM. Suffice to say both sides lived to fight another day.